The film has two great performances from leads Vittorio Gassman and Jean-Louis Trintignant, and various bits of Italian culture from a different time. For those who find road movies to be repetitious (especially considering the movies that use the formula like a crutch), “Il Sorpasso” is enlightening to an intriguing type of wild fun that can be had when watching characters throw their fate and sense of direction into the wind. While the movie might seem like the foundation for many that follow, it has a looseness that keeps it unpredictable, its breezy attitude continually contemplative. The shy lifestyle of Roberto (Jean-Louis Trintignant) is disrupted and changed forever when he becomes an unexpected road trip buddy for Bruno, a free-spirit who loves to live life fast and furiously. The two unexpected friends travel throughout Italy and learn about each other’s families, while getting a greater understanding of each other’s secrets. 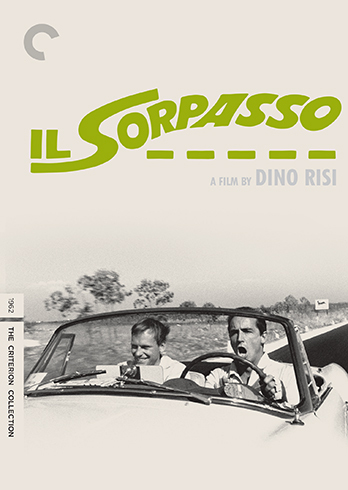 “Il Sorpasso” was released on Blu-ray and DVD on April 29, 2014.